My cousin and I had planned on having lunch on Saturday. It was refreshing, as I don’t ever see him or hang out with him enough. I called him around noon — no answer. I got a text from him shortly after, telling me that he is hung over, and feels horrible. I wasn’t quite sure if he meant he felt horrible from last night’s binge or about canceling on me. Either way, lunch was out of the question. After a bit of recovery and rest, he made his way to my place — dinner was in the cards. After checking online and other sources, he remembered a place he ate once. We looked up the Singaporean establishment and surely, this was where he wanted to eat. I never had Singaporean food ever, so I jumped on the chance. Litz Restaurant was where we were headed. The place looked run down, dingy, and small. The decor? Stuck in the 90s. They also got a score of 66 on the safety inspection. I don’t know what the exact grade is, but that has to be in the “C” range. “D” range? Already content on this place, and knowing that I have a pretty strong stomach, I gave it a try. I took the safe route and ordered the shrimp fried rice. 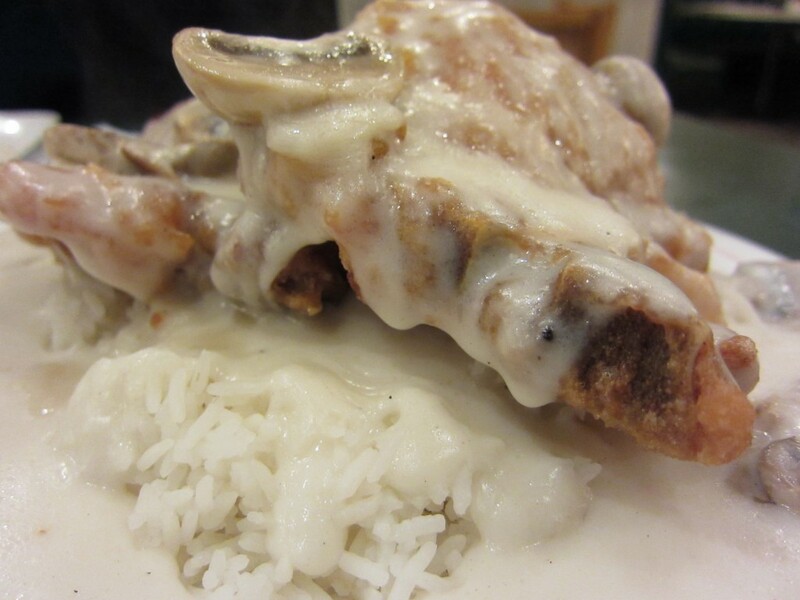 My cousin, not a fan of change, ordered what he had before, the pork chop with mushroom cream sauce. 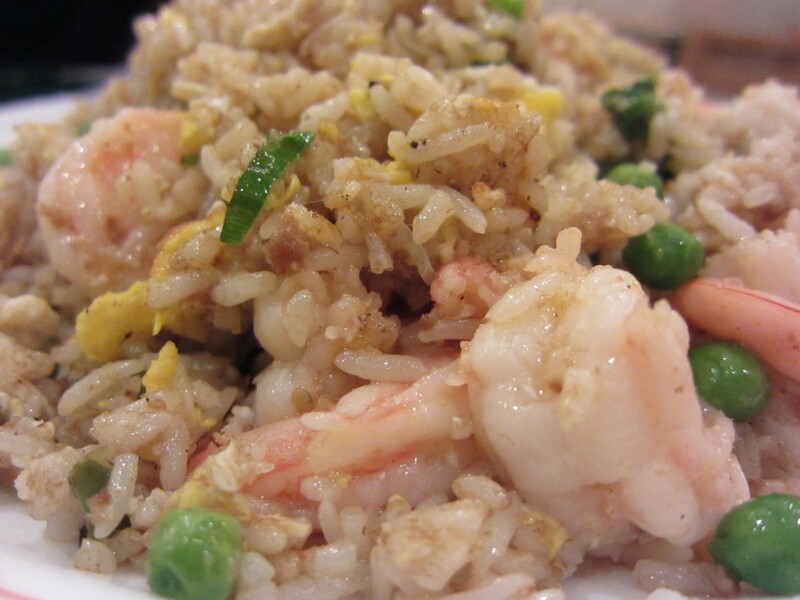 I was surprised — despite the greasiness, my fried rice was not bad. I would order that again any day. My cousin’s pork chop was good too. I wasn’t a fan of the cream sauce, but the actual pork chop was crispy and juicy. To top it all off, me and my cousin were fine the next morning. No signs of food poisoning. I learned a few things that night. 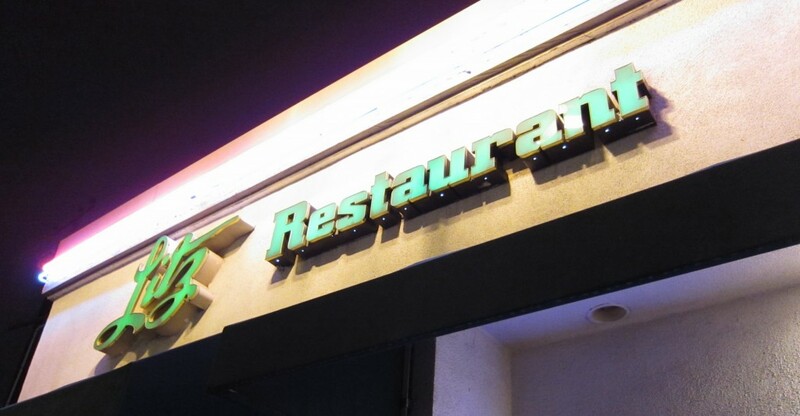 I learned not to judge a restaurant by its cover. Don’t be afraid to try new things, I told myself. And most importantly, I realized that there are a lot of unique Asian cuisine around my neighborhood. I will definitely try more things close to home. I look back at that night. I had good company and new foods – this is what dining experiences are made of.